Darjeeling "The Himalayan Heavan" or "The queen of hills" . 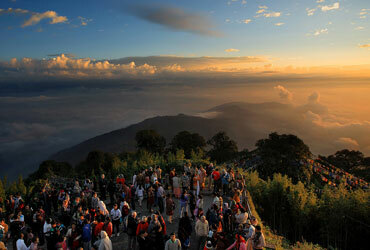 One of the famous hill station located at the elevation of 6710 feet above sea level. Such of the beautiful land is surrounded by Nepal, Bhutan, Bangla desh, Tibet & more asain countries The word Darjeeling comes from tibetian, means "a place of thunderbolt". It a headquater of Darjeeling district. It provide the majestic vision of of snow capped peaks, lush green valley & tea gardens & land of breathtaking beauty of Himalayas. Numerous traveler from different part of the world visit these hill station as it had been considered as a world heritage site. Toy Train (Darjeeling Himalayan Railway) was declared world site by UNESCO in 1999, only the second railway to have this honour after Semmering railway of Austria. Watching sunrise from Tiger Hill is an awesome experience. The snow peaks of Kanchenjunga appear in magical colors as the sunlight strikes. one can see the change in beauty & nature within a moment of minute. it is about 12 kms far from the city. A place to get 360 Degree view of Darjeeling ‘s Landscape and all these from the middle of the flowers & lovely Garden where the toy train track is laid. One can seat here & enjoy the train making a double spiral loop with hooting the whistle along the way. 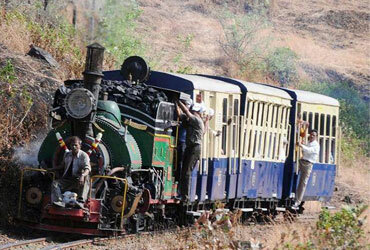 If you take a toy train ride from Darjeeling than you will pass through this majestic loop. It a centre where the production of of handicraft sections, Show rooms, Photograpy items are centred & its is a main of earning. They export the items to as many as 36 countries all over the world. If you like to buy some items, you can get them at the Show Room, which is an outlet located in the premises. 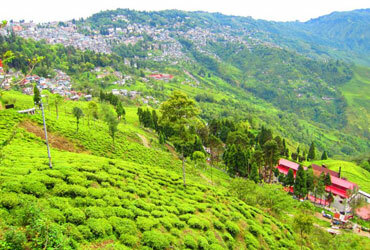 One the highest tea production location in dareeling. One can see how one bush can produce five different varieties of tea. 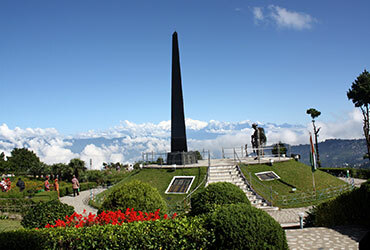 It is located in Darjeeling Pictureque hillside & 1.8 km from Chowrasta. 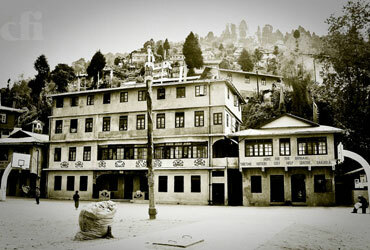 Himalayan Mountaining Institude or HMI is a premier Institute which is engaged in the promotion of mountaining and was established in 1954. 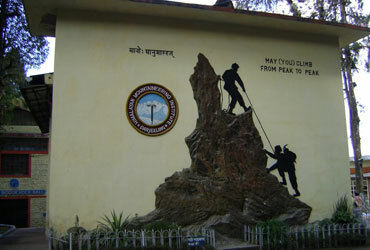 It conduct adventure, basic and advanced mountaining course. 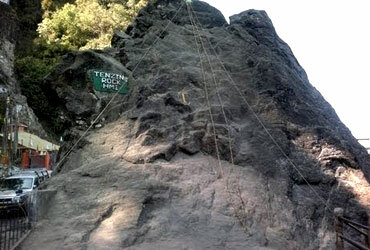 Tenzing rock a natural rock is named after Tenzin Norway and opposite of these is Gombu Rock named after Nawang Gombu (Nephew of tensing). Here a Rock climbing training is done.